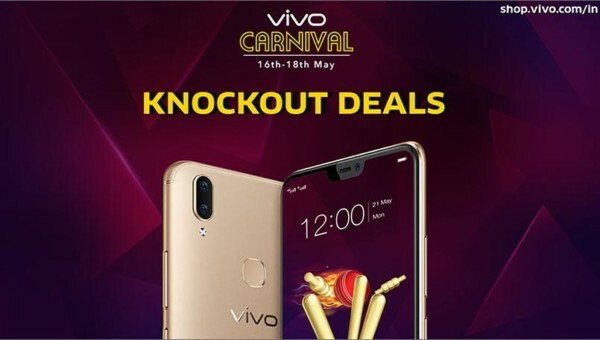 New Delhi: Chinese smartphone maker Vivo on Wednesday announced its “Vivo Knockout Carnival” offering customers discounts and cash backs on selected smartphones. The carnival will last for three days exclusively on Vivo’s official online store. During the three days, Vivo V5 Plus and V5s will be available for Rs 14,990 and Rs 12,990 respectively, the phone-maker said in a statement. “The specially curated offers from Vivo will make customers shopping experience better,” said Kenny Zeng, Chief Marketing Officer, Vivo India. Customers with SBI debit and credit cards can avail an additional cashback of 5 per cent on purchase of select models, the company added. The carnival offers include lucky draw coupons up to Rs 1,000 and BookMyShow couple movie vouchers worth Rs 500. Additionally, Vivo is offering a 12 month “No Cost EMI” on all smartphone models.